Unsavory folks on the internet can gain unwarranted access to your private information while browsing and may end up using it to commit frauds. Not all browsers are made equal. If you prioritize your privacy, you'll definitely like to know which browsers will keep your activity private without compromising your internet experience. In recent years, top internet browsers like Chrome, Firefox and Internet Explorer have stepped up their game in regards to security features. They now offer download protection from phishing sites, URL filtering, non-tracking options and will warn users when HTTPS is not being used. This provides today’s users with more control and options. It’s now possible to use plug-ins to fine-tune IE, Firefox and Chrome for privacy and security. However, some individuals believe that true security comes from having a browser that places its main focus on security and doesn’t offer extra features. The TOR browser is a good example of a platform that mainly focuses on security and privacy. However, this browser does have a tendency to slow down browsing speed along with other connectivity issues. It’s one of the reasons why many individuals will keep looking for new alternatives. When surfing the web, it’s almost impossible to achieve true privacy without utilizing a VPN. The only way this can be done is to isolate a device from connections that use public Wi-Fi, be extremely conscious when using a predetermined list of sites and services and lock the system down with an operating system that is open source. This list of browsers (and one plug-in) will not provide a 100 percent guarantee of real privacy. However, the safety features and security measures taken by each individual browser will help. The most popular browsers are not the most secure or private options out there but most of them can be improved a little to serve everyday needs. Chrome keeps web connections secure by auto-updating current security fixes. The browser also displays a warning if a user navigates to a site that may contain malware. If you’d like to increase your privacy, a privacy mode feature allows web surfing without recording or tracking visited pages or searches. There are a number of extensions available, which can help you personalize your browsing experience. However, this also attracts the attention of hackers. Chrome uses a lot of memory, which may limit the amount of multitasking that can be done, and your personal data is collected by Google. Chrome recently earned the ‘most widely used browser’ spot. It has been in the market for slightly more than a decade and has become the preferred choice for a host of Google services. Chrome has a strong reputation as far as speed is concerned. However, Google is also infamous for its tracking and data collecting policies when it comes to your personal information. If you’re considering Chrome, it’s good to know that clients receive an update every five weeks. Plus, you can add pop-up blockers. Boost your privacy and security by installing our independently audited Chrome extension. Firefox has several advanced security features that are embedded in the browser. It can detect spyware that is automatically downloaded from some websites, malware and viruses. It also includes an excellent pop-up blocker that works about 100 percent of the time. A private browsing mode will not download cookies, temporary files or save searches and visited pages. The Mozilla Foundation, a nonprofit organization, is committed to offering its clients the best privacy and security features and works around the clock to deliver this. Although the ‘Do Not Track’ feature has become standard among major browsers, the Firefox community was the first to bring it on board. Third parties have a habit of dumping cookies on internet users, which in turn compromises their security. Mozilla Firefox provides the ‘Tracking Protection’ feature that takes care of this. Users looking to step up their online privacy can also make the most of their diverse add-ons including uBlock Origin. The open-source nature of Firefox is the icing on the browser’s safety features. You can always assess their codes and find out if anything unscrupulous is going on. On top of that, Mozilla announced that Firefox Nightly now supports encrypting the TLS Server Name Indication (or SNI) extension. This means that attackers and ISPs won’t be able to see your browsing history. You can also boost your privacy and security by installing our independently audited Firefox extension. A small number of sites won’t work with the browser. It would be nice to have a history search available. There are times when it takes longer for both Microsoft Edge and Internet Explorer to navigate between sites and load pages when compared to other browsers. Every new PC owner has probably had experience with Internet Explorer (IE). For a long time, IE had monopolized the browser market share. The advent of Firefox and Chrome changed this state of affairs. 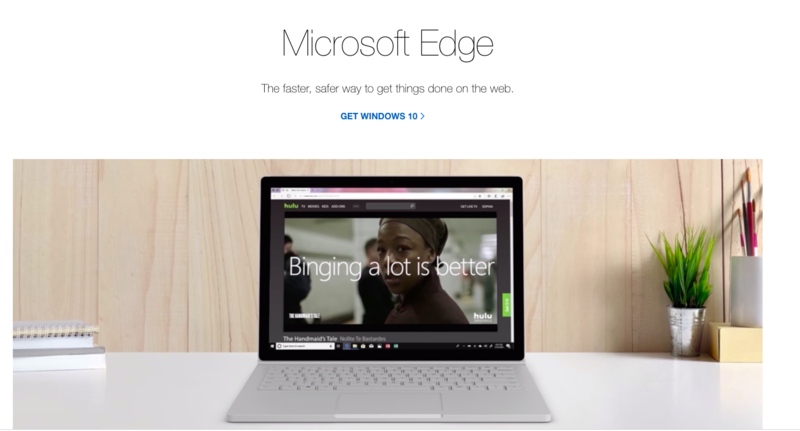 IE’s successor, Edge, hasn’t gained its popularity amongst internet users yet. Both IE and Edge have security features which are average but still alert users on potential malware and untrustworthy sites. They also offer both the “Tracking Protection” and “Do Not Track” features, which enhance the privacy of their users. Safari is designed to work for Apple OS users. Windows and Linux users will have serious problems trying to run this on their machine. Apple is known for its privacy-orientated functions. 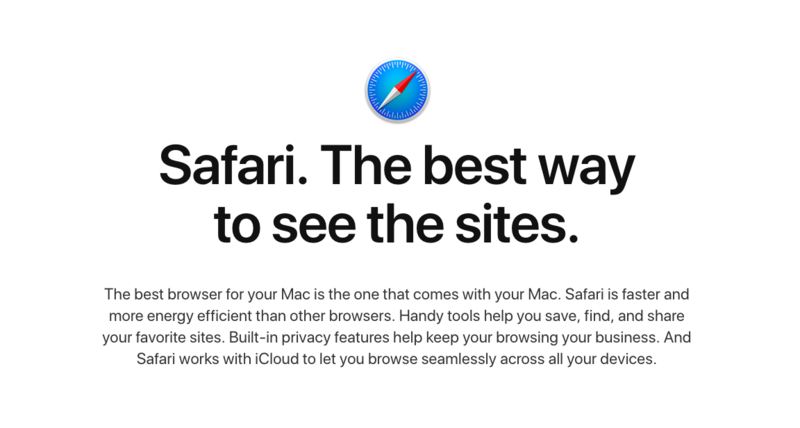 Safari has not had too many updates – in fact, it’s been updated just a few times when compared to other browsers. This may be due to the fact that Apple devices, in general, are exposed to fewer online vulnerabilities. The newer version of Safari warns you if a website is trying to access your cookies. Moreover, to prevent malicious code, it runs web pages in separate processes. While these may be lesser-known names, if you’re looking for a secure and private browser, open source may be the way to go. The creators of Opera offer a number of extra goodies that are built-in to the browser. This includes an ad blocker, integrated RSS feeds and phishing protection. Opera can offer too many choices, which are not always easy to find. It also tends to not be as forgiving with websites that haven’t followed strict coding rules, which may cause problems. Opera has gained popularity among its users as a privacy-oriented browser. Their updates are released after every 5 weeks to keep in step with the dynamic nature of internet connections and malware. They enhance the security of their clients as they block add-ons as well as scripts. Malware protection is also guaranteed and is coupled with fraud protection. Clients can also exploit their private window that ensures that your browsing activity cannot be monitored. This is however not the case with its default window. Its built-in VPN is not as secure as many would love for it to be, though it offers a considerable amount of privacy. Depending on your security and privacy needs, you can opt for any of these browsers. Tor is the best option for advanced anonymity needs, while Firefox, on the other hand, offers the best privacy option for mainstream users. VPNs and tracker blockers are some of the tools that you can consider for enhanced privacy. Good news – Surfshark works great with Opera browser too! Install Opera Chrome extensions > download Surfshark extension for Chrome > enjoy! The developers of Tor Browser have created a browser that keeps surfers anonymous around the clock. 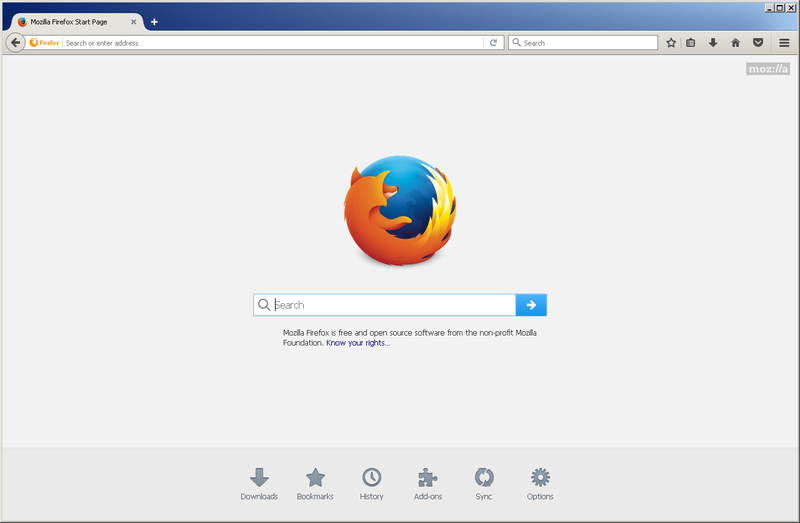 The browser is based on Firefox, and its updates come after about 14 days, which includes patches and bug fixes. If you are looking for a browser that will clear your cookies every time you complete your internet sessions, Tor Explorer is the best bet for you. Its NoScript feature ensures that no browser can keep track of what you do when you are online. Your browsing habits and traffic are encrypted thanks to the network relays that data bounces on. With a VPN connection added to its features, you are guaranteed maximum privacy. 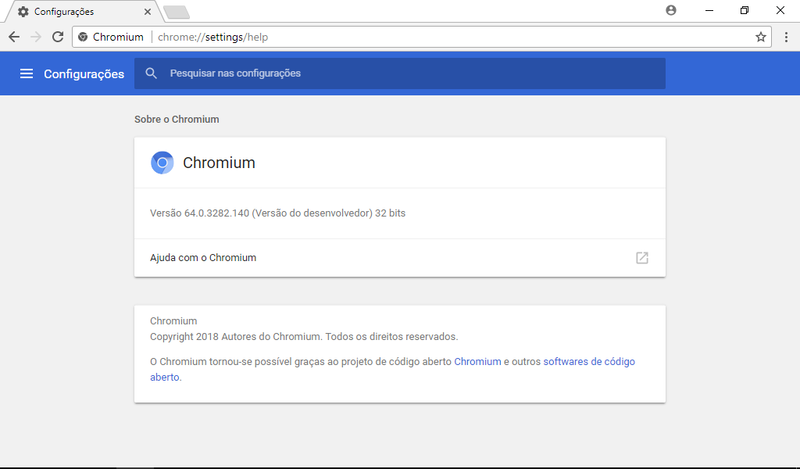 Chromium browser is entirely open-sourced, but the global privacy community still has its doubts when it comes to using Chromium. This is mostly because it’s almost impossible to guarantee that all of the code is clean that comes from Google’s default data gathering policies. It’s not really recommended if privacy is your #1 priority. Chromium has updates coming out every day, but every update is manual, which can get a little annoying to some. It is available for Windows, macOS, Linux and Android. You can also boost your privacy and security by installing our independently audited extension. This is a browser extension that can be added to Mozilla Firefox, Google Chrome and Opera. It was developed in a collaborative effort by the Electronic Frontier Foundation and The Tor Project. It helps make connections more secure by automatically making websites utilize an HTTPS connection if it’s supported. However, many sites still have content that comes from third-party domains, which do not offer the security of HTTPS. Pale Moon is a lightweight desktop browser that’s an offshoot from Firefox. Released by means of collaborative development, it emphasizes “efficiency and customization” as two of its main attributes. It receives regular updates. However, you may have compatibility issues when you try to use add-ons. It strives to provide a strong attachment to specifications of the official web standards by balancing performance, general use and technical advancements of the internet. You’ll find many options for configuration and customization with a purposeful exclusion of a number of features. One of the main features listed for the browser is “Security.” It states that additional security features have been added during development but doesn’t list these features. It should be noted that as of this writing, the web installer has a potential security issue and is currently unavailable. This does raise a red flag with this browser. Freenet operates as a peer-to-peer platform. It emphasizes censorship-resistant communication. You are able to publish files, post on forms and browse websites with its strong privacy protection. It utilizes a decentralized, distributed network to store encrypted data. With no central server available to attack, it makes hacking this platform difficult. It also supports OpenNet technologies and Darknet. Open-source browser Brave is known for its very privacy-focused approach and minimalistic design. In regards to security and privacy, this browser lets you select what kind of data you wish to delete every time you’re closing the app. Also, it has many settings, which let you customize your preferences for your individual security needs. The Brave browser has a default ad blocker, anti-fingerprint functionality and script blocker. However, bear in mind that Brave doesn’t support most of the third-party extensions, which can be a real hassle for some users. It’s a new player in town, so it may take a little time to gain trust from average users. You can also boost your privacy and security by installing our Firefox extension to Brave browser. Comodo Dragon is a Chromium-based browser ideal for those who admire Chromium’s minimalistic design but are worried about Google’s data mining. Comodo Dragon is praised for its high security and browsing speeds. Comodo is best known for its firewall software and other security solutions. Maybe this is why people feel safer while browsing on Comodo Dragon. The browser warns users every time they try to access a website that is not safe or while entering sites like Facebook. Comodo IceDragon is very similar to Comodo Dragon but based on Mozilla core. However, it’s a very recent browser, so it’s not as developed as its predecessor. IceDragon lets you secure DNS settings, which checks the validity of the sites you visit. Waterfox is based on Mozilla code (the same as Pale Moon and Basilisk) and prevents tracking and data collection. Epic markets itself as “incognito mode by default.” This means that the browser doesn’t retain any history and automatically enables cookie blocking. The developers implemented a built-in encrypted proxy which hides your actual IP address and encrypts the data between you and the web, thus providing privacy and security on every level. However, it’s not compatible with some websites. Torch browser promotes the so-called ‘all-in-one’ approach. Its philosophy is that social media, torrents, sharing and media downloading are just a click away. 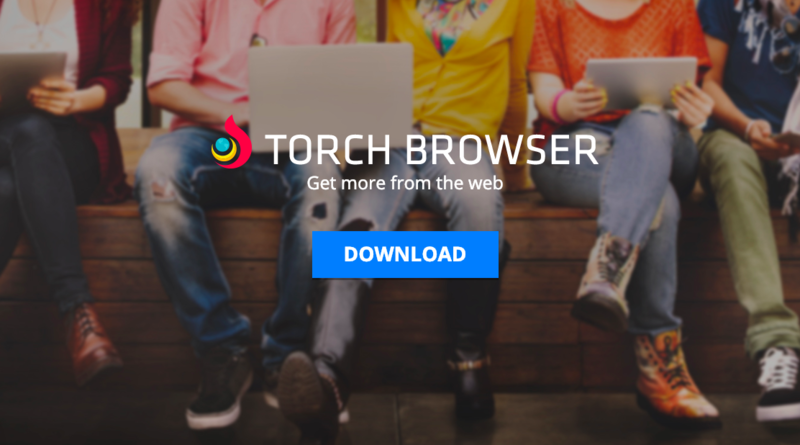 Torch is a Chromium-based browser. However, Torch may install extensions, which you don’t necessarily need, but you can delete them after the installation process. The browser was reported to have some stability issues. Firefox, Chrome, Safari and Internet Explorer have all gained popularity over the years. However, clients who prefer them should be aware that these browsers aren’t very secure and private. Chromium, Tor browser, Brave, Epic, Torch, Comodo Dragon and Opera shouldn’t be left behind. They block cookies and ads while allowing extensions that keep trackers at bay. The security features, privacy tools and update frequency should help you tell them apart.